One of the most difficult subjects is Math, right? But that does not mean your kids can’t hurdle (if not ace) it. The truth is, it is not always about the level of difficulty of the lesson but the right strategy to be able to hurdle the challenge that this subject brings. Having the right strategy can greatly help your student not just learn the subject but appreciate the learning process. If you are located in Southern California, hiring a math tutor in Santa Clarita, CA can help you help your child learn the subject effectively. Tutoring service providers in the area have a custom Math learning strategy – a tutoring technique tailored to your child’s unique needs. Math grades are on steady downward trend. If you are seeing a downward trend on his/her exam and quiz results, it is a clear indication that there is something wrong. You should take the appropriate action by making an assessment personally or you can talk directly to the teacher to discuss which area of the subject your child needs reviewing – and act accordingly. Spending more time doing the Math homework. Is your child spending an hour or two for a math problem that should only take about half an hour? Your child most likely is having a hard time doing it. 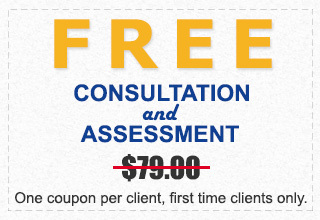 That is another sign that your child needs a math tutor in Santa Clarita, CA. Irritable, frustrated and ‘hates’ school. We know that children grumble about school once in a while, but if your kid is complaining regularly or all of a sudden is not interested in school any more, or worse, “hates” it, that is another clear indication that a help from a tutor is needed. Please note also that some kids are not that expressive so, as a parent, you need to listen to your kids for subtle cues. 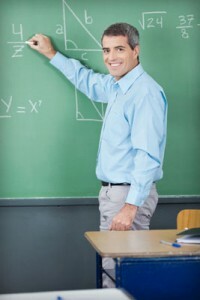 If you need a certified math tutor Santa Clarita, CA, don’t hesitate to contact Santa Clarita In Home Tutoring, an in-home tutoring service provider. Where Will Your Children’s Education Take Them? The world is getting much more competitive. College graduates are out of work in huge numbers. Having a solid education is no longer enough to insure success. The ability to think and learn independently plus powerful habits and motivation are essential too. Relying entirely on public education and taking summers off from learning to decompress is no longer a safe choice. In fact, summer is the ideal time to shore up skills not mastered during the school year, and to supplement skills and knowledge to expand your child’s horizons. Strengthen weak fundamental skills. Reading, writing and math are crucial to future academic success. School work will get tougher and tougher each year if the foundations are weak. Develop advanced skills like early reading (phonics), speed-reading, superior reading comprehension, and effective writing. Weak study skills undermine success and there is rarely time during the school year to develop these critical habits. Working one-on-one with a tutor will ensure these essential skills and habits are acquired and reinforced before next school year begins. Summer is a great time for high school students to prep for the SAT and ACT tests. Their choice of colleges, and your costs to send them are highly dependent on these test results. Most students leave too little time to develop the broad vocabulary and speed in math that is essential to success. Summer school itself often requires the help of a good tutor to succeed. 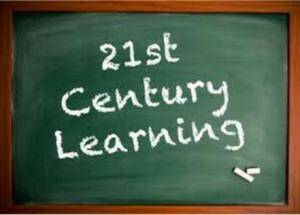 The learning is rapid paced and the workload is enormous. A student who gets “lost” for just a day or two may never catch up when the pace is this fast. Use summer to help your child find their passion. Encourage them to read and study a subject of their own choice- something that motivates them and cultivates a love for reading and writing. Both of those skills are essential in today’s world, yet lost in a world of texting and TV. Summer tutoring programs are becoming an essential component to long-term success in academics and in life. They don’t take much time and can be tailored to your family’s schedule. 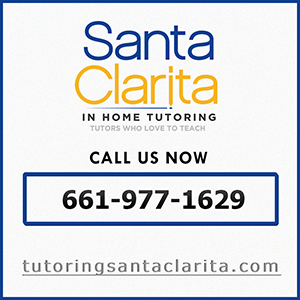 Mary Beth Inchalik is the President of Santa Clarita In Home Tutoring Tutoring. She has over 20 years of combined regular and special education teaching experience from elementary school through high school. Contact her at (661) 977-1629 or marybethinch@yahoo.com.